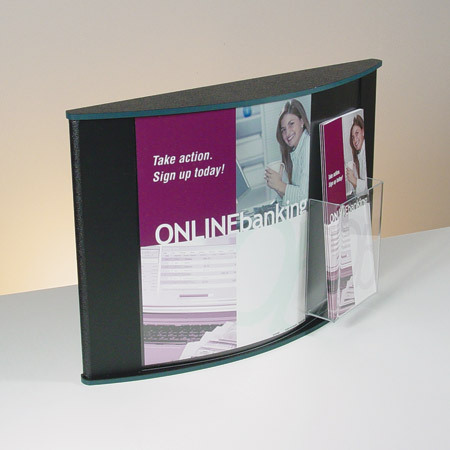 United Products specializes in the design and fabrication of acrylic displays and organizers. For years, we have manufactured, supplied and distributed acrylic holders and displays for a variety of industries, of which include food and beverage, health and beauty and businesses. We utilize the latest in machinery and technology to produce the best possible product for your needs. The use of these techniques, including laser cutting and computer aided machinery, allow us to take pride in producing our acrylic display products with outstanding quality and on-time delivery. We provide a wide range of extensive capabilities, and your display designs are only limited by your imagination. We look forward to working together to create a custom solution that meets all your display needs. If you do not see exactly what you are looking for, please contact us and we will work with you on a custom request. At United Products, customer service is always one of our highest priorities. We pride ourselves on the fact that you will always have a real, live person to contact. Don’t delay! Contact us today for custom quoting.